On 14 March the government announced it had selected the 8x8 Boxer CRV proposed by Rheinmetall Defence to replace Army’s ageing fleet of 250 Australian Light Armoured Vehicles (ASLAVs). Some 211 CRVs will be acquired under Project Land 400 Phase 2. The heavily-protected 38.5 tonne Boxer defeated the rival Armoured Modular Vehicle (AMG35) offered by BAE Systems in partnership with Finnish company Patria – not necessarily a surprise given the Commonwealth’s focus on survivability. 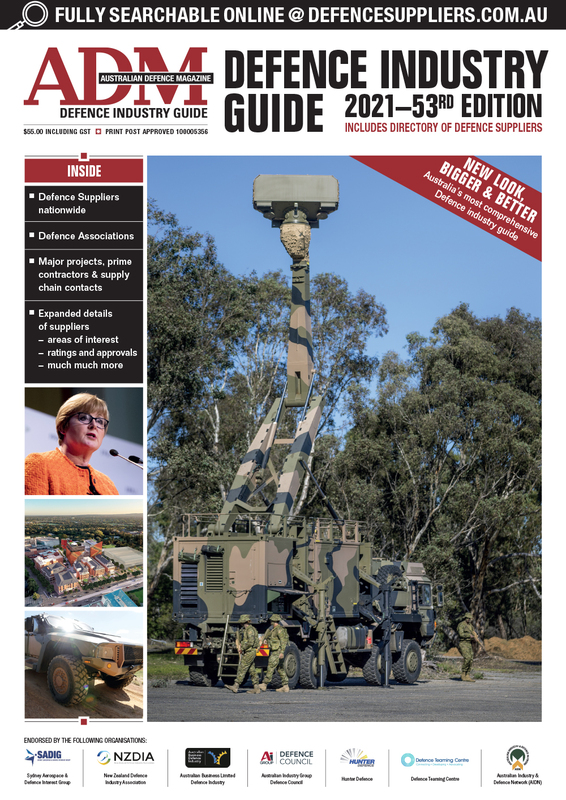 Total acquisition cost is $5.2 billion, with the government formally signing a $3.2 billion delivery contract with Rheinmetall in Canberra on 17 August. The first vehicles will be produced in Germany to meet the aggressive delivery schedule, and are expected to be available for training in early 2020. The ADF will utilise several variants of the Boxer including reconnaissance, command and control, joint fires, surveillance, ambulance, and battlefield repair and recovery. The 133 reconnaissance variants will be equipped with Rheinmetall’s digital Lance turret system and armed with a 30 mm automatic cannon and a two-round launcher for the Spike LR2 anti-tank guided missile. A Request for Tender for Phase 3 of Land 400, seeking a fleet of up to 450 modern infantry fighting vehicles (IFVs) and 17 manoeuvre support vehicles to replace Army’s expensively-upgraded but obsolescent M113AS4 armoured personal carriers at an anticipated cost of up to $15 billion, was officially released on 23 August. The tender closes on 1 March 2019. Representing the largest-ever investment in Army capability, this phase has attracted keen international attention. Rheinmetall’s success in Phase 2 and Defence’s emphasis on commonality between Phase 2 and Phase 3, for which Rheinmetall is bidding its Lynx tracked IFV, also fitted with a Lance turret, suggests possible problems for the Commonwealth in creating competitive tension. Yet confirmed contenders after conclusion in early September of the Land Forces exposition included Rheinmetall’s Lynx, General Dynamics Land Systems’ (GDLS’) AJAX armoured fighting vehicle, and the AS21 Redback IFV from South Korea’s Hanwha Group. The highly-regarded tracked Puma IFV produced by Rheinmetall Defence and Kravis Maffei Wegmann (KMW) was withdrawn from contention due to the RfT’s stated preference for a manned turret. As of early December, participation by BAE Systems’ CV90 combat vehicle was still “under consideration”, the company said. At the same time, newly-appointed (July 2018) Chief of Army Lieutenant-General Rick Burr lost no time in articulating his vision of an ‘Army in Motion’ operating in, and responding to, an environment of what he termed ‘accelerated warfare’. “Future advantage will lie with the side who can ‘own the time’ and best prepare the environment,” he said, declaring that Army must respond proactively by rethinking its contribution to joint warfighting philosophy, strategy and concepts. A more coordinated approach to major projects within CASG will see the creation in early 2019 of a new armoured vehicle division under Major General David Coghlan to consolidate programs such as Land 400, Land 907 (main battle tank replacement), and Land 8160 (enhanced gap crossing capability). Land 907 Phase 2 looks to address a number of technology and mechanical areas that will see the service of Army’s 59 M1A1 MBTs extended out to 2035. These are primarily target sensors and communications systems that shorten the kill chain and improve situational awareness. An initial industry day was held in February combining both Land 907 Ph 2 and Land 8160, which involves upgrades to the M88 Hercules recovery vehicle and a new capability for breaching battlefield obstacles. First Pass for each program is scheduled for 2019-20, with Second Pass for Land 907 Ph 2 anticipated in 2021-23 and for Land 8160 in 2021-22, with IOC for both in 2023-24. Under the Land 155 Enhanced Gap Crossing Capability project, final delivery was completed in September of UK company WFEL’s rapidly-deployable military bridging, including Dry Support (DS) and Medium Girder (MG) bridges. The double-storey, link-reinforced MG bridges can span up to 49 metres. Supplemented by additional portable pier and span equipment, bridges of up to 76 metres can be constructed. July saw government approval under Project 121 Phase 5B for the purchase of 1,044 additional new-generation medium and heavy Rheinmetall trucks, 812 modules and 812 trailers, worth a total of $1.4 billion. Delivery of some 2,146 4x4 and 6x6 unprotected Mercedes Benz G-wagons was completed under Land 121 Ph 3A in 2016, whilst Land 121 Ph3B acquired 2,536 trucks and 3,858 modules from Rheinmetall. Under Land 121 Ph 4 some 1,100 Hawkei light protected vehicles are replacing the balance of the Land Rover fleet through a $1.3 billion contract with Thales Australia. First deliveries began in early 2018 and full production will get under way in 2019. The primary purpose of Exercise Hamel 2018, held in the Shoalwater Bay Training Area in June and July, was to certify the 7th Brigade based in Brisbane as the current ‘Ready’ combat unit under the Army’s ‘Ready, Readying and Reset’ force generation cycle as outlined in Plan Beersheba. Hamel is also an important training exercise in the Joint space and the exercise has seen major growth in this area, recognising that a single service will rarely fight on its own in future conflicts, but will operate as part of a Joint Force in conjunction with other elements of the ADF, other government agencies, and coalition partners. Brigadier Ben James, Director General Training at Army Headquarters, said that 7 Brigade came through its certification “with flying colours”. 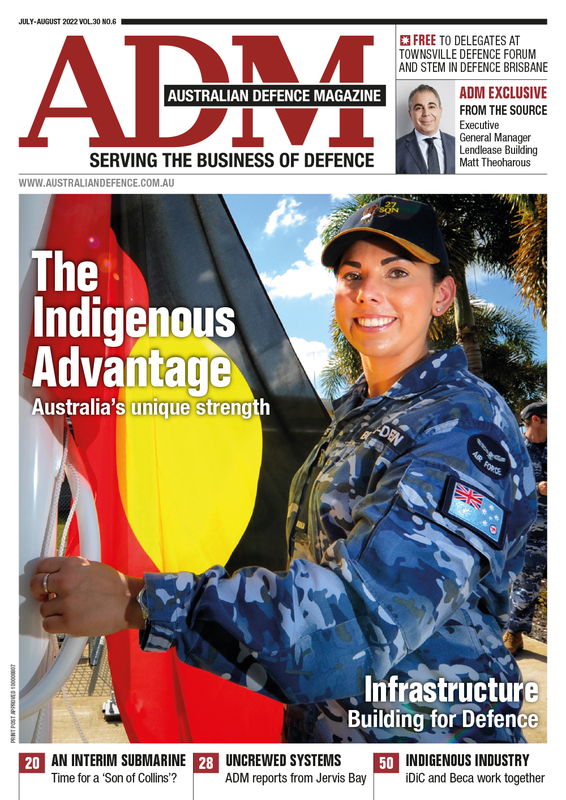 Other significant outcomes involved working through the process of integrating the ADF and coalition participants into the Joint Force and ensuring that information could be moved around the entire battlespace – Air, Sea and Land – in a seamless and timely manner. A further outcome was the validation of the Townsville-based 2nd Battalion to form the nucleus of a Joint Pre-Landing Force (PLF). The PLF essentially comes ashore ahead of the main landing to initially provide intelligence, surveillance and reconnaissance to the Task Force commanders and later to conduct battlefield shaping activities. The first delivery of Assegai 155mm munitions arrived in Australia in August, eight months after a contract with NIOA was executed in December 2017. The ammunition is destined for use in the Army's fleet of M777A2 ultra-light howitzers under Land 17 Phase 1C.2 Future Artillery Ammunition. The new shells will supplement the ADF’s existing ammunition stock and provide increased range, lethality and first-round-on-target accuracy. Including the qualification lots and war reserve stocks, the order is worth around $100 million. It also represents the first time that a nation using M777A2s has opted for the Assegai projectile family. Delivery of the third tranche of EF-88 rifles to replace the long-serving Steyr F88 began in late 2018 to 1st Brigade in Darwin and Army training institutions, most notably the Army Recruit Training Centre and the Royal Military College - Duntroon. Tranche One delivered the EF-88 to units in north Queensland and Tranche Two delivered the rifle to southern Queensland, including 7th and 17th Brigades and some of their reinforcing Reserve units, along with the RAAF and Navy. Tranche Four will equip remaining units and provide repair and attrition sticks, with final operating capability being reached in 2022. Production of the venerable Browning 9mm self-loading pistol that entered ADF service in the 1960s ended early in 2018 and the Original Equipment Manufacturer, FN Herstal of Belgium, will cease providing ongoing support. The requirements-setting phase is currently underway for a replacement that will be acquired under Project Land 159. Risk mitigation activities (RMA) undertaken by Raytheon Australia for Project Land 19 Phase 7B (Short Range Ground-based Air Defence) were completed in September on schedule and on budget. Raytheon’s proposal for Second Pass consideration in mid-2019 will be based on the proven Raytheon/Kongsberg NASAMS (National Advanced Surface to Air Missile System) that is fielded by seven nations, including the United States, and is being acquired by Indonesia and probably India. Option 1 involves a fire distribution centre in a truck-mounted shelter, Raytheon’s Sentinel high resolution, three-dimensional surveillance radar, and a standard six-missile canister launcher placed on the tray of medium-weight trucks equipped with integrated load-handling systems. Option 2 is an upgraded version of Option 1 and includes the potential integration of Canberra company CEA’s cueing and tactical radars to replace the in-service Sentinel radar. Both options include the potential integration into NASAMS of ADF trucks and Hawkei. Particular focus was placed during the RMA on assessing the capability benefit, trade-offs, risk and limitation of alternative counter-rocket, artillery and mortar (C-RAM) interceptors, given that the large and very expensive AMRAMM (Advanced Medium-Range Air-to-Air Missile) standard effector is not optimised to combat small, non-manoeuvring targets. In September Leidos was awarded a $243.5 contract under Land 2110 Phase 1B to supply and support for five years a range of chemical, biological, radiological and nuclear (CBRN) defence capabilities for the ADF. The company will supply approximately 70,000 equipment items to support Defence’s capability to detect and protect itself from toxic industrial chemicals and weaponised CBRN agents. This article first appeared in the December/January edition of ADM.